Successful recruitment is one of our cornerstones. Highly trained and qualified staff guarantees high-quality end products and long-term client relationships. We continuously invest in machining services, and our operations are certified by the ISO9001 quality management system. 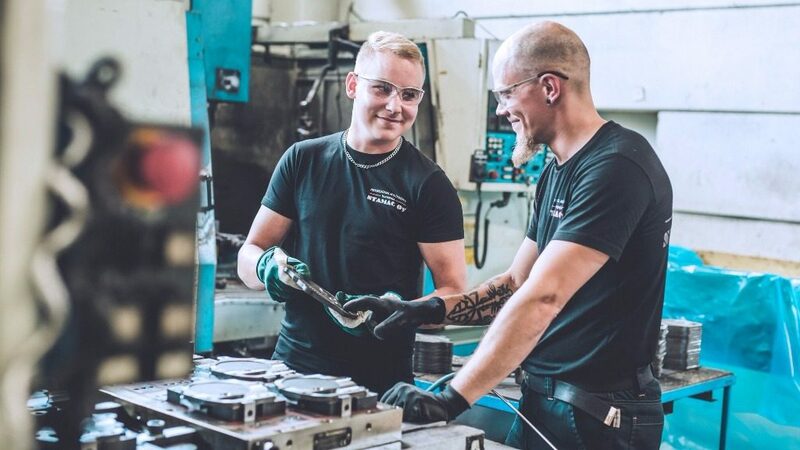 For over 20 years, Konepaja Stamac Oy has been among the most important businesses operating in the Finnish machining industry. Leading technology companies rely on us as their chosen subcontracting machine shop. We manufacture e.g. components and powerdrive products for various industry businesses. We are involved in many interesting projects concerning future solutions, and we continuously recruit new professionals to join our team. At the moment we have a total of 60 employees, of which approximately 50 work in the shop as CNC machinists or similar. Our company is in a phase of strong growth, so we are continuously hiring. If you have a suitable training and skills, and you are driven and highly motivated to get things done, please send over your contact details and CV through the below form, and we will get back to you. You can also contact us for carrying out an internship or dissertation with us. Please do not hesitate to get in touch. We can discuss together and find the right solutions – hiring the right people genuinely matters to us. Stamac is the machine shop of happy people. Interested? Please leave your contact details, and we will be in touch!